Get the first details on Gearsmas 2018, arriving next Thursday! ‘Tis the Season To Be Gibbing once more in Gears of War 4, and Gearsmas will be back with a bang with a whole host of festive fun. Snowball Fight makes its glorious return complete with a brand new challenge. This special variant of TDM arms you with the 'Snowshot', a Boomshot variant that packs some serious punch into your Snowball. Hit an opponent directly above the waist and watch them gib into festive pieces. Okay, maybe not the festive bit, but it’s red at least right? Kill 100 opponents in Snowball Fight over the Gearsmas period to take home the Ice Boomshot weapon skin and the Heartbeat Boomshot. You know it, you love it and it’s back. Hordes of antler-bearing Juvies will attack you wave after wave for 25 waves. With weaker fortifications and one-hit health barriers, it’s all on you to survive the onslaught. Complete 3 full matches of Jingle Juvies on any difficulty to pick up a very special Holiday gift – a 5 card Gear Pack containing 5 random Midnight Omen Weapon Skins. Just like last year, we’re bringing back the epic 12 days of Gearsmas. Every single day, we’ll be giving away Gearsmas content from years gone past and turning on some serious bonuses. Last year had everything from 4XP to double credits – and, without spoiling your presents before they’re unwrapped, let’s just say this year our bonuses are even bigger. 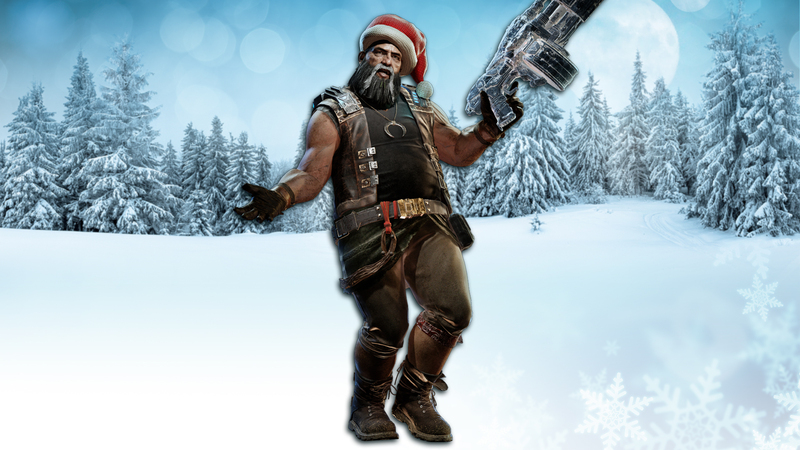 And if that’s not enough, each day during the 12 Days of Gearsmas will also deliver a bonus Snowflake Weapon Skin. Check back each day to collect your Snowflake Weapon Skin and complete the set! New Gearsmas. New Skins. This year, we’ll be adding two new Gearsmas themed characters along with the Snowglobe Weapon Skin set to collect over the Gearsmas period. In the interest of revealing these skins in the best way possible, we’ll be showing them off in action in our new Gearsmas trailer dropping next week. We think it’ll be worth the wait. Catch all the Gearsmas Festivities beginning Thursday 14th December through to January 4th. Don’t forget to stay tuned for the reveal of our new Gearsmas Characters and Weapon Skins in next week’s ‘Twas The Night Before Gearsmas trailer debut. 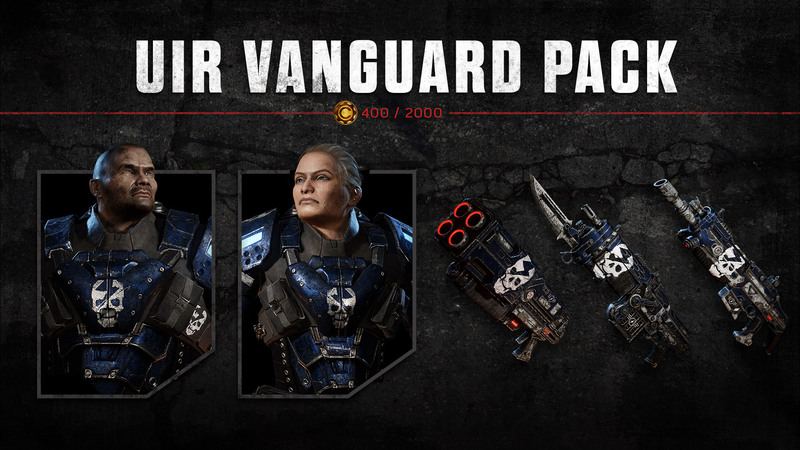 The UIR Vanguard Gear Pack is available now in Gears of War 4 until Thursday 13th December. If you like your UIRs looking Elite and showing some personality, these skins are for you. Luck of the Draw is now be available until Thursday 13th December. Random order Arms Race? Check. Heavy weapons? Check. Blowing ourselves up by aiming too low with the Salvo? Unfortunately… Check. A small <1GB update for Gears of War 4 rolled out this Tuesday. This Update contains content for our upcoming Gearsmas festivities and the ability to toggle player name display off in Spectator Mode. Thanks for bearing with us on that last one Creators. Additionally, some eagle eyed players have already noticed a new addition to Boxes - a Snub that spawns later into the round - as a useful counter to angle out opponents camping on the spawn sandbags. We'd love to know your feedback on how you think it's working. As part of this recent Update, we have now also enabled a minimum rank requirement to enter Ranked Play in Gears of War 4. At this time, this minimum requirement is set to Level 10. We will be monitoring data and feedback to tune this value further, as needed. This week’s Fight Night featured a show match between Fire N Ice and Optimal GG (who are now Reign) in addition to the 2k finals for the LATAM and NA regions with LATAM Kings taking on Unstoppables and OpTic Gaming taking on Contenders. The show kicked off with the LATAM 2k finals between LATAM Kings, now with a brand new roster including LATAM favorite Identivez, and Fight Night first timers – Unstoppables. Map 1 was business as usual for the LATAM Kings as they dominated with a 7-1 victory. Map 2, however, was a whole other story. Unstoppables lived up to their name on the initial, leading 6-0 till the LATAM Kings bounced back 6-4. However, that 6-0 comeback fell short for the LATAM Kings as the Unstoppables took Harbor 7-4. Unstoppables put up a brilliant fight on Map 3, but LATAM Kings reigned supreme with a 2-1 victory, making Identivez’s homecoming match extra special for his team. Next, Optimal GG took on Fire N Ice in a best of one show match. These teams proved to be well matched and we had Optimal GG taking home the W, 7-4. Rounding out Fight Night, we had the North American 2k finals between the Contenders – a newly formed team with an interesting powerhouse roster and Gears Esports titans – OpTic Gaming. These teams went neck and neck throughout the entire match, but OpTic manage to narrowly edge out the Contenders 7-6, 7-4, making them NA 2k champs twelve times in a row. 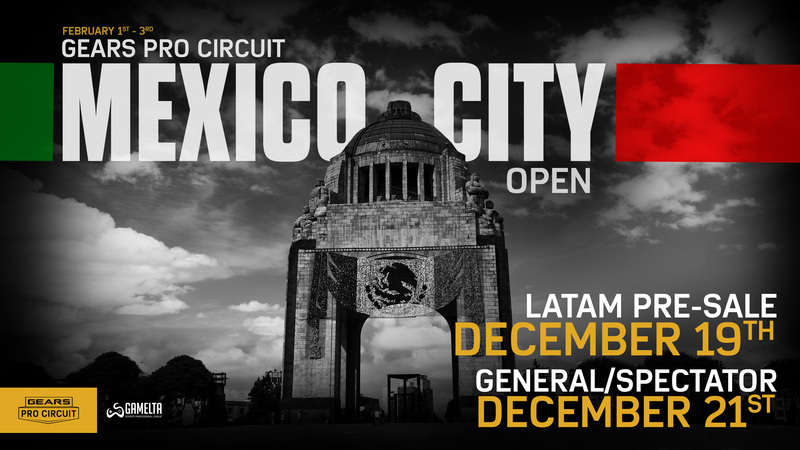 In other Esports news, Gears Pro Circuit Mexico City Open passes will go on sale in two weeks! The LATAM Pre-Sale starts Wednesday, December 19th during Gears Fight Night (show starts at 5 PM CT) and General Team & Spectator Passes will be up for sale on Friday, December 21st at 5 PM CT.
Stay tuned for more information by following @EsportsGears for updates! As Dana and I are working from the UK this week, we thought what a better way than featuring an UK Pro player? Hydrone plays a lot of ranked and gb’s and has regularly streams on Twitch. He knows how to slay and is always in the right position – so watching him play will certainly help you amp up your game. Feel free to send him a game invite on Xbox Live – his gamertag is Hydrone SSG. Check out some other great videos on his Twitch channel. You can also keep in touch with him on Twitter. Attention Latin American Gears fans. Make sure to follow the new @GearsLATAM account for everything Gears delivered in Spanish! Luck of the Draw - random order Arms Race with Heavy Weapons - is back in Gears 4!